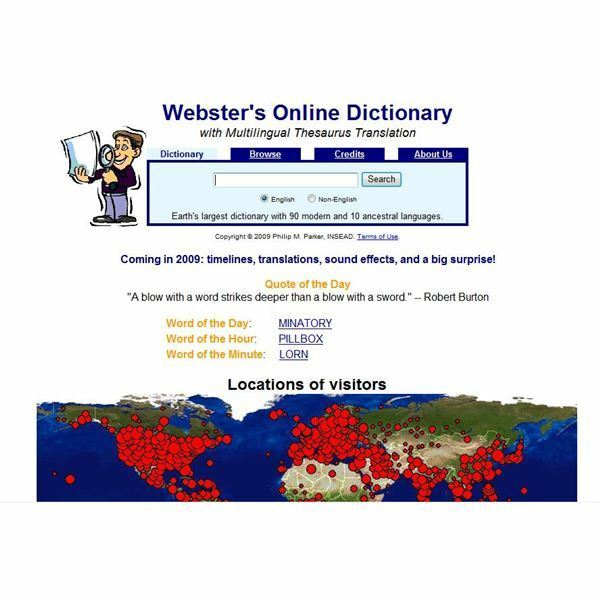 There are several different sites that say they have the Webster dictionary online. Are they all right? 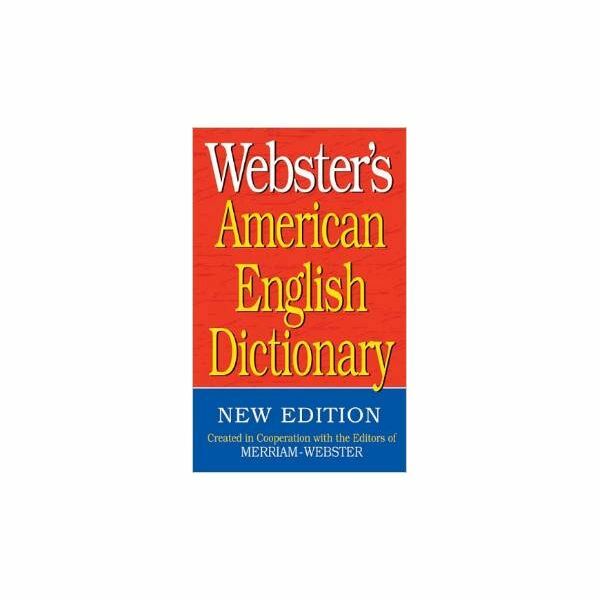 Webster is an extremely well known name in American dictionaries, and at various times there has been a lot of fuss over who had the right to use the name, and whose dictionary was most directly related to Noah Webster's original dictionaries. Merriam Webster is the company who gained the rights to Webster's original dictionaries, and publicizes itself as the true heir of Webster. However, the term Webster's Dictionary is now in the public domain, and a great many dictionaries now use Webster's as part of the name of their dictionary. Recently, the Random House unabridged dictionary changed its name to Random House Webster's, and Microsoft Encarta has become Encarta Webster's dictionary. All of the Webster's dictionaries available online are great choices and offer a wealth of information. Learn more about what is offered in each program to find out which is right for you. 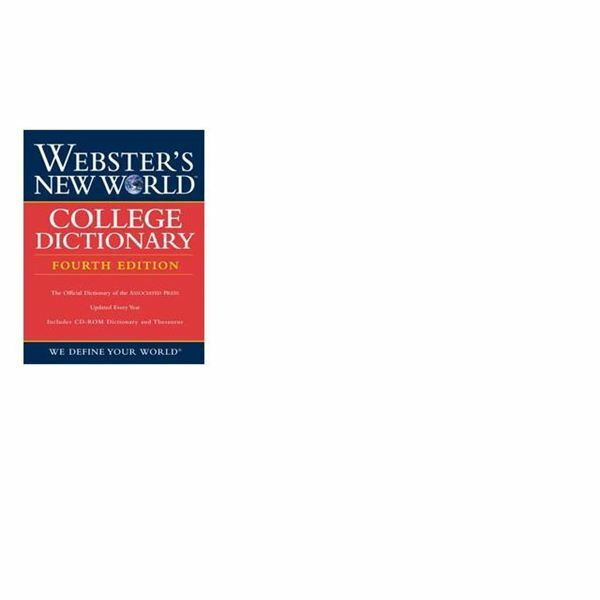 Merriam-Webster Dictionary Online search allows you to freely search their Merriam-Webster's Collegiate® Dictionary, Eleventh Edition, thesaurus, Spanish-English dictionary and Medical dictionary. You can also subscribe to their unabridged dictionary, with more than 470,000 entries for $29.95, yearly, or $4.95 monthly. Access to the Encyclopedia Britannica is also available at $69.95 a year. Selecting a word gives you the number of different definitions the word has, as well as its parts of speech, and its etymology. You click on each definition separately for its meaning, and the meaning appears below an ad. An interesting feature of Merriam-Webster's site is the ability to double-click on any word in a definition and get a pop-up defining that word. Definitions also contain hyperlinks to other words used in a definition. At the bottom of a definition, Merriam-Webster gives a link to pronunciation symbols, the hyerlink text needed to create a link to the definition you are reading, and the proper style for MLA and APA citation of the definition. They also offer a number of free features on their site, including word for the day, some features explicitly for children, and an Open Dictionary. The Open Dictionary is an unusual feature, allowing members of the public to suggest words they think should be added to the dictionary, and the ability to search to see what other words people have proposed. They also offer free learner's tools to improve English skills. Merriam-Webster also has a free American English Learners Dictionary for ESL, EFL, and TOEFL students. Wiley now publishes the Webster's New World Dictionary, and you can search the Webster Dictionary online at YourDictionary.com. This is the official dictionary used by the Associated Press, the Wall Street Journal, the New York Times, and other major newspapers. At YourDictionary, you get definitions, spelling, thesaurus entries, pronunciation and etymology for the word you enter. They also claim to find you the best dictionaries and translation sites for French, Spanish, Italian, and many other languages. They have glossaries for specialized vocabularies. You can add Yourdictionary search to your Google homepage or on your browser. It offers many Language translation tools, and extensive ESL resources. There are numerous word games online at the YourDictionary site, from expert crossword puzzles to word games for children. As well, you can find a section on writing your name in exotic alphabets. I wrote mine in Hieroglyphics. ancestral languages. Part of its source material is also based on the 1913 Webster's Dictionary. They do not worry whether a word is slang or profanity, but do define it as such. Noah Webster does have a online dictionary presence now. It is certainly the most comprehensive of all the free dictionaries online. It includes the definitions for a word, the date the word was first used in popular English literature, the etymology of the word in several languages, if relevant, including the word in different root languages and specialty definitions of the word in various domains. It has additional specialty definitions of the word with context, and the word used as part of a phrase in different disciplines. It offers Abbreviations, Acronyms, Synonyms, Synonyms within context, as in a thesaurus, and a section on crosswords, where it gives words which may be used with the definition of the word you are defining. It gives the languages where the same word is used, and the meaning of the word in that language. There is a section on modern usage, with the word used in screenplays, lyrics, and movie titles. There is a section on commercial usage, with a link to the commercial site. It also gives images of the word in photos, illustrations, and digital media, and sound files captioned with the word. There are also sections on the use of the word in both fiction and non fiction usage, spoken usage, and speeches. As well, the usage frequency of the word in the English language is provided, along with the part of speech most often used, and the percentages of other parts of speech in which the word is used. It provides expressions where the word is used and the frequency of Internet keywords using the word daily. Modern translations of the word are provided in 40 different languages in the word I researched, along with alternative meanings in that language, as well as ancestral language translations for the word. It gives a Bible trace for the word, with the source and the word in the original edition of the Bible, and the same Bible verse given in a number of other languages. There are derivations and misspellings, along with most of the common misspellings which bring you the word as a choice in a spellchecker. There are words which rhyme with the word you selected, and anagrams using the letters in the word. At the end, there are sections with the word used in titles for literature, art, professional photos, proper noun and trade noun usage, music, videos, and products. These last sections all contain links to where you can purchase the products, and affiliate income from these purchases help maintain the site. Finally, it gives a Google search box with the word, and an index with links to all the sections in the word definition in the Webster's Online Dictionary. It has instructions for putting on a search box for the dictionary on your own website. The Online Dictionary is based on Webster's Dictionary 1913 Edition; this is a copyright free edition of the Webster's Revised Unabridged Dictionary Version published 1913 by the C. & G. Merriam Co. Springfield, Mass. Many appreciate the Online Dictionary's minimalist approach to their dictionary interface. When you enter a word, it gives you the definitions it has for that word from any of the sources in the database. A word may provide definitions from Webster's 1913 dictionary, WordNet 2.0, and the Free Online Dictionary of Computing, among other sources. Webster's 1913 dictionary does contain pronunciation and quotations using the word. WordNet 2.0 provides synonyms. At the end of all the entries is a list of related words. Because the basis of this dictionary is copyright free information, there are a number of modern words which are not included. The dictionary contains a link to add additional words to the dictionary, at the Online Community Dictionary. To add a word, you enter the word, the part of speech, the definition, and a sample sentence. All entries are reviewed by humans, and promotional material and external links are removed. Because of the number of modern words currently missing from the dictionary, care must be taken not to use wording taken from any copyrighted dictionary in creating definitions or in sample sentences. There are many online dictionaries for the English language, ranging from the famous Oxford English Dictionary to others that you may never have heard of before. Here we evaluate both free and subscrition dictionaries and let you know which have the best features for your purposes.